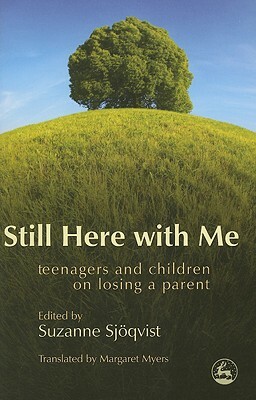 This book is a moving and thoughtful anthology of the experiences of thirty children and teenagers who have lost a parent. In their own words, children and young people of a variety of ages talk openly and honestly about losing their mother or father. They describe feelings of pain, loss and anger, the struggle to cope with the embarrassed reactions and silence of others, and the difficulties involved in rebuilding their lives. They also share happy and loving memories of their parents, and talk about the importance of remembering while learning to accept their parent's death. The accounts cover a variety of circumstances in which a parent died, including death from cancer, heart attack and involvement in an accident. Taboo experiences which are often avoided about are also covered, including death through alcoholism, natural disaster, war, suicide, and domestic violence. The book displays a courageous and insightful group of children and young people who prove that it is possible to talk openly about these subjects without stigma. Still Here with Me will be a valuable source of information and comfort to young people who are struggling to cope with the loss of a parent. It will also provide insights into the needs of grieving children for parents, teachers, social workers and other professionals.